The beatings just got worse, even after bearing two sons to him. Edward was relentless in his abuse and there was nothing Emily could do to lessen her mysterious punishment. But leaving him was not an option. Responsible for the welfare of two children and a rebellious younger sister, Emily had no recourse but to remain at his mercy. When Edward died, Emily’s life should have taken a positive turn, but with the sale of a neighboring farm, the support of her close neighbors evolved into a fresh nightmare of lust and murder. Emily didn’t mean to fall under the spell of the new property owner, wealthy New Yorker Brandon Vayne, especially after meeting his pregnant wife Anna. As she resolves to ignore the allure, Emily finds herself responding to Brandon’s advances until the eventual happens. 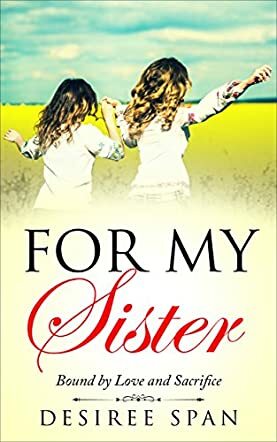 For My Sister: Bound by Love and Sacrifice, a novella by Desiree Span, is a fast-paced tale of unbridled passion. The reader will believe the main character’s desire to do the right thing, while understanding the force of the heart’s desire. Although Brandon and Anna comfortably complement each other in marriage, the adulterous attraction between Brandon and Emily is the realistic element that drives the reader to an unexpected conclusion. The biggest challenge in novella structure is the ability to adequately supply necessary detail without losing the integrity of the genre. Desiree Span steps up the plate to deliver a well-penned project. A respectable stand-alone read, For My Sister exemplifies an abbreviated full romance.